I feel like strawberries get all of the attention in the summer time, but cherries are a fun and cute summer fruit too! I think I might have to throw a cherry themed party just to draw attention to the issue. 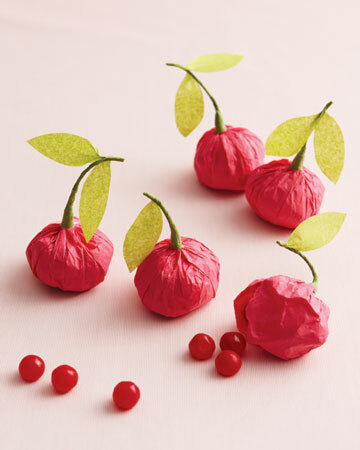 And then I can make these fun cherry party favors from Martha Stewart. Okay, so it is really more about getting to make the party favors. But they are CUTE!